Now that UFC Fight Night 82 is in the books — full results here– it’s time to look ahead to Ultimate Fighting Championship’s (UFC) next pay-per-view (PPV) offering. And it’s a massive one. UFC 196 is scheduled to to go down on March 5, 206 in Las Vegas, Nevada and features a championship doubleheader as Rafael dos Anjos defends his lightweight title against current featherweight champion, Conor McGregor. 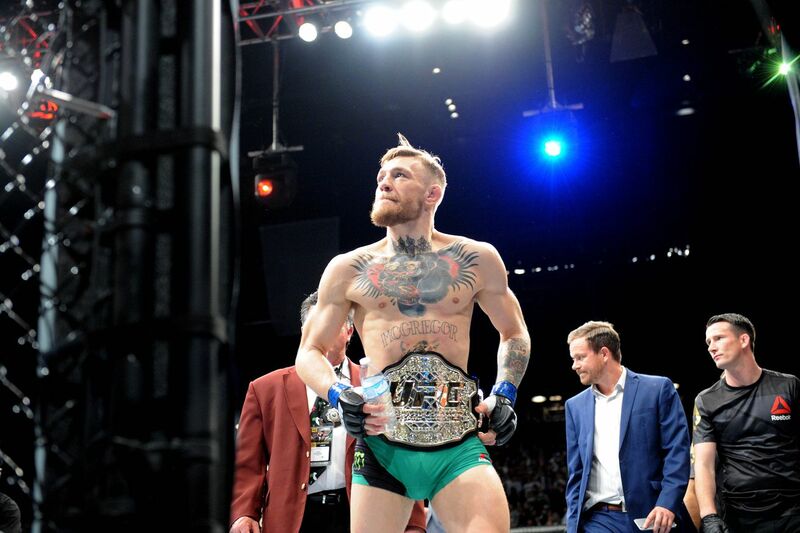 “Notorious” will look to become the first man to ever hold titles in separate divisions. Dos Anjos, meanwhile, looks to silence the fiery Irishman and get some get back on behalf of his friend, Jose Aldo, when the two men collide at the MGM Grand Garden Arena. The second half of the double header will see UFC women’s bantamweight champion, Holly Holm, defend her title for the very first time against Miesha Tate. Expect more promotional videos to be rolled out as the fight draws nearer, in the meantime, check out the latest one in the embedded video above and see the another preview video here.